The "Wildfire Boomerang" is customizable for the fast catch event. It is a very easy returner even for children over 8 years old. You can adjust it for various wind conditions, add weight to it for more distance and elastics to slow it down. It is designed to be a great beginner boomerang for those interested in the sport of boomerangs and the Fast Catch event (Note - the current fast catch world record is by a USA athlete with 5 throws and catches in under 15 seconds!) . This is a very nice rang! 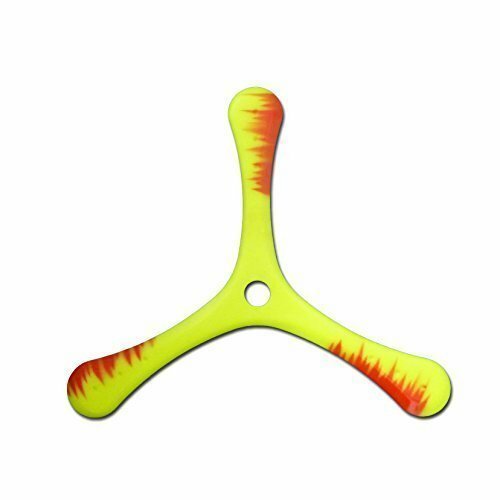 Real Sport Boomerang - Designed for Beginner Fast Catch! This is real, not a souvenir! 25 yard circular flight, great hover for the catch. For kids 10 - 80 years old!